Pallet Rack Accessories & Extensions | T.P. Supply Co. If you use motorized equipment like forklifts and similar vehicles in your warehouse or factory, one wrong turn can do serious damage to a column, potentially causing structural damage to your pallet racks and necessitating an expensive repair. Our column protectors can help you avoid this type of column damage. 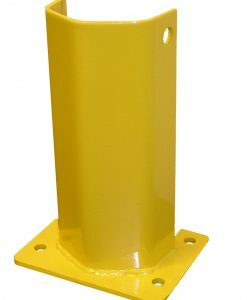 We feature a variety of affordable and reliable column and post protectors, including 12", 18" and 24" heights for rack post protectors and 12" and 18" column protectors. 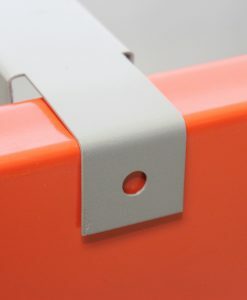 The right crossbars are an essential part of your pallet rack solutions. 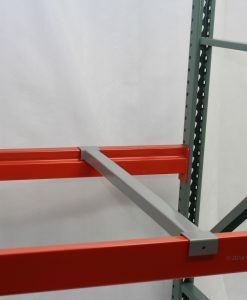 You’ll find all the crossbars you need for your pallet racks right here with T.P. Supply Company. 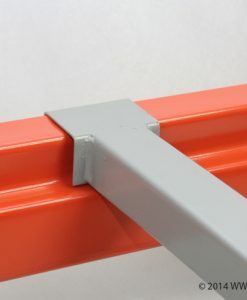 We have sturdy, affordable crossbars for your requirements in 36”, 42” and 48” lengths. While in normal circumstances, your beams will handle the weight of your pallets, pallet supports are a crucial safety measure to stop your pallets from falling through the beams in situations where the pallet is overloaded or loaded incorrectly. Double flanged pallet supports give you the freedom to install your supports even in beams with no slots and to tek-screw them in place so that there is no sliding. Our double flanged pallet supports are extremely affordable and come in sizes ranging from 36” to 48”. Another variation of pallet support that we are happy to offer is our 42” hat-style pallet support. For situations where you want to apply pallet supports on beams without slots, but double flanged pallet supports are not suitable for one reason or another, you will often have success with these hat-style pallet supports. 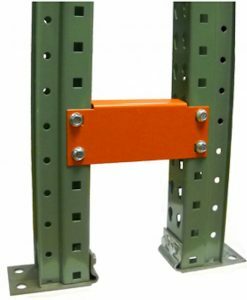 Our structural pallet supports are standard pallet supports suitable for use with box beams and structural channel beams. 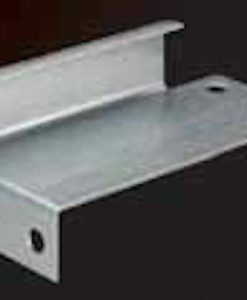 Our structural pallet supports of 42” length are a great value. The job of a row spacer is to make sure there is a consistent distance between rows on your pallet racks, and they are a valuable organizational tool. We offer 6", 8", 12" and 18" row spacers to meet your needs. You can use wall spacers to help your pallet racks maintain a suitable distance from the supporting wall. You’ll find affordable 6", 9" and 12" wall spacers at T.P. Supply Company. T.P. Supply Company has been supplying products like pallet racks, pallet rack beams and pallet rack accessories to manufacturing and warehousing companies for close to four decades, and we are still going strong. Companies come to us for their pallet rack products and accessories because they know we will always supply them with high-quality, reliable products at a fair price that meets their budget. 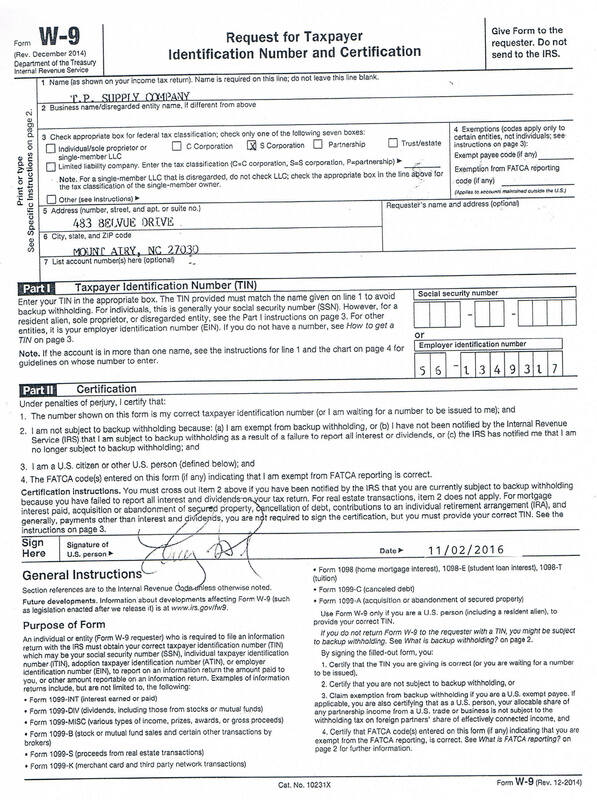 We can bring your products to you personally and even offer installation for certain items as needed. Once you’ve used T.P. 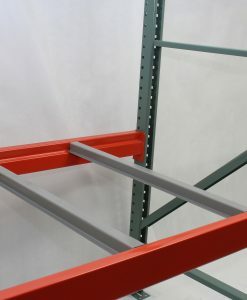 Supply Company, we know you will be so satisfied, you won’t want to shop for your pallet rack products anywhere else. See for yourself by ordering the row spacers, pallet supports and other pallet rack accessories you need from us today.